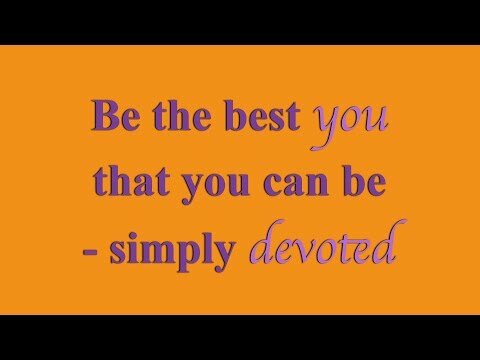 Video Shiur: Be the best you that you can be-simply devoted to HaShem. The Baal Shem Tov said, “The main rule in serving Hashem is that you should keep yourself from sadness to the very best of your ability.” “Without joy, it is impossible to be attached constantly to Hashem.” When you perform a commandment with joy, it is a sign that your heart is completely with Hashem. Nothing in the world is more pleasant than a mitzvah performed with gladness. When you do a mitzvah, you should concentrate on the positive feelings that come with the action itself and not on the potential of receiving a reward in olom habah (the world to come). Having the opportunity and ability to perform another mitzvah is the reward Hashem sends as the reward for the first one. Rav Dror brings us rare honest pure principles of truth, that will touch the heart of anyone who truly tries to listen to his inspirational words. Our hope is that these inspirational videos will bring you closer to Hashem (The Creator) and inspire and motivate you to find your connection to God with joy, faith, and trust. Rav Dror teaches us how to live a simple life with a strong emphasis on personal prayer with the creator. Learn the real meaning of life, the real purpose in living, find fulfillment, acceptance, and discover the good points in yourself and others. Rav Dror Moshe Cassouto is from Jerusalem, Israel, and gives all of his classes from the Emunah Center located in the heart of Jerusalem. The EmunahChannel youtube and website Emunah.com were started to spread his inspiring classes all over the world. Please Subscribe, Like, Share, and Comment, Thank You!